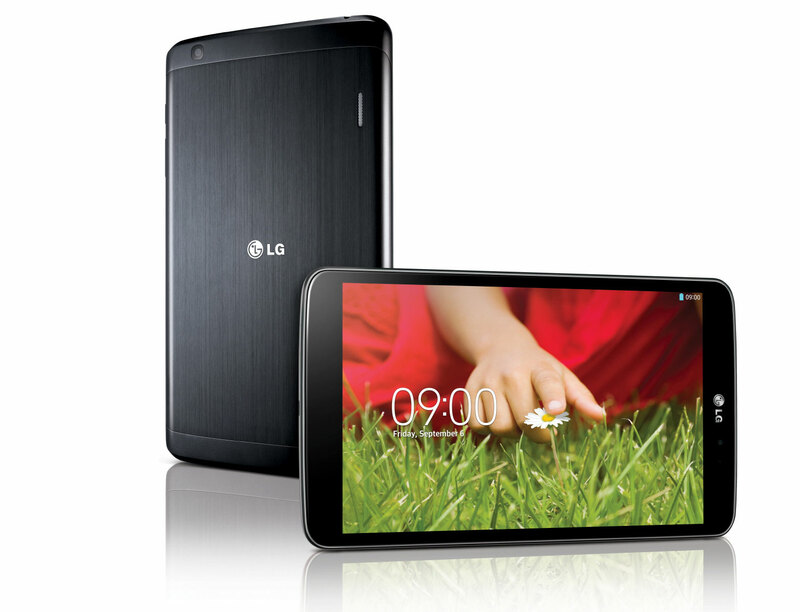 LG Electronics announced today the impending arrival of its G Pad 8.3 tablet, which will officially launch at IFA 2013 next week. 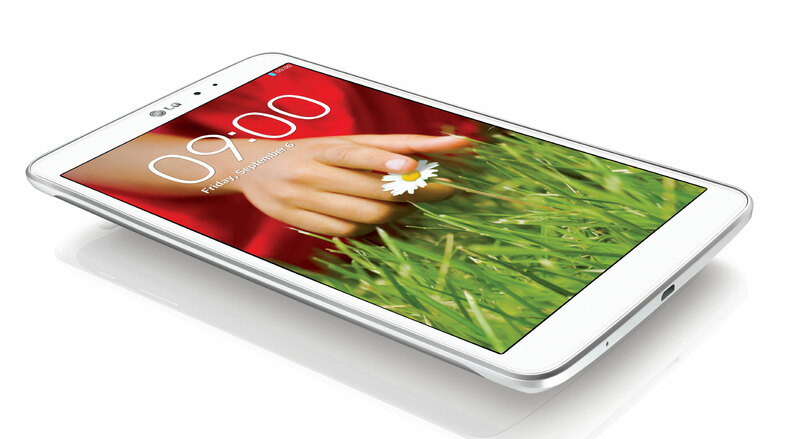 The company revealed that the tablet will have an 8.3-inch display screen and run Android Jelly Bean 4.2.2. Unfortunately, while full specs for the device have been provided, we still do not know the price yet — that will be provided when it launches. However, we do know that it will be available worldwide in the fourth quarter of 2013. LG’s G Pad will come with a 1.7GHz Quad-Core Qualcomm Snapdragon 600 Processor, 16GB worth of memory, 2GB of RAM, dual camera (5MP rear/ 1.3MP front), weigh 338 grams, and come in black or white. The official announcement of the G Pad had been expected following the discovery of a YouTube ad on the company’s channel. It featured people talking about their experience with current tablet devices offering feedback like they want full HD picture quality, being able to connect to other devices, and that it not be a think device. The G Pad has a 4600mAh battery and weighs just 338 grams. When you stack it against the iPad Mini, which boasts a somewhat comparable 7.9-inch display, the G Pad is actually heavier by 38 grams. Featuring a 1900 x 1200 display at 273 pixels per inch, consumers should find watching movies, playing games, and whatever else they do on the tablet to appear sharp and clear. 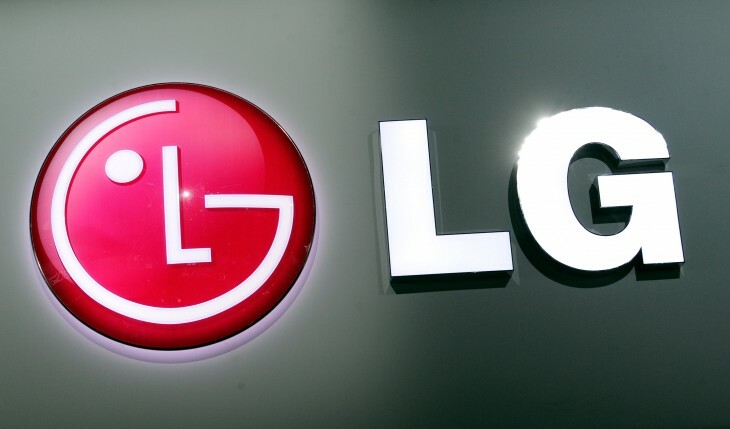 LG has copied the same attribute that it included with its G Series devices. Compared to the iPad Mini, which has a 1024×768 resolution at 163 pixels per inch, LG seems to have the win in this category. But then again, this comes just days before Apple holds an event in San Francisco where some say that a new iPad is being announced (or maybe not). QPair also allows the G Pad to easily connect to other manufacturers’ smartphone and tablets (Jelly Bean OS recommended). Notes created on the G Pad’s QMemo can be seamlessly saved into users’ smartphones and shared from either device. However, one must wonder whether this is something that has already been done with services like Google Voice or even apps like TextPlus. LG touts that the G Pad includes “real-life benefits” include multitasking with its “slide aside” feature (three-finger swipe), QSlide, which allows you to control up to three different apps without any interruption, and KnockOn, a feature that lets you turn the device on and off just by tapping on it twice. Okay, so here’s the important part: the tablet is not available yet — it will be sold worldwide starting in the fourth quarter in North America, Europe, and Asia, along with some other regions. It’s also still unclear whether this will be a WiFi only device or available on mobile carriers like Verizon, T-Mobile, AT&T, or Sprint. Based on the specs and the information LG has provided us, does the G Pad appear to be interesting enough for people to buy? At this point, probably not — I’d rather use a Nexus 7 or a iPad Mini. But if the company demonstrates how the G Pad works with its other hardware devices to help create a connected home, then that might be worth checking out.